It’s cold outside and Jack Frost is nipping at our pipes. Here are some simple but effective ways to reduce your risk of a frozen pipe. Remove and drain your water hoses from the outside of your house. If there is water left inside when they freeze the water will expand and push back into your pipes causing them to burst. Keep your doors closed. While keeping the door shut seems like a basic tip, many people forget to check the doors that lead to unheated areas such as their crawlspace or garage. Wrap and/or cover any pipes or fixtures that are in unheated areas of the home. Example: exposed pipes in garage or irrigation fixtures. Heat tape, pipe insulation, and faucet jackets can be found at your local hardware store. Leave the faucet dripping in rooms you do not use often. The bill from a dripping faucet will be far less than one from water damage. Heat your house! Even if you will only be gone for the day you should keep your heat on at a minimum of 68 degrees. However, If your house will not be occupied for an extended period of time give us a call and we can winterize your house. 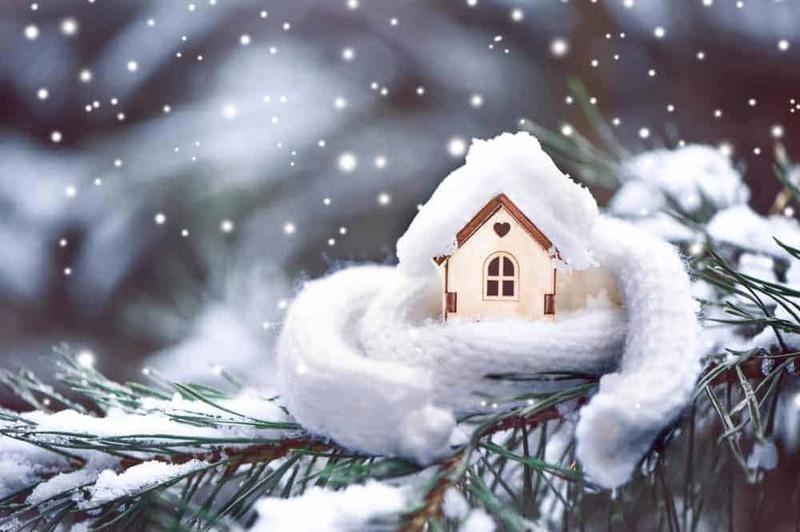 (Your house will need to be de-winterized before house is occupied again). If your heater is having issues, contact your local heating repair experts! You turn the faucet or shower on but the water pressure just doesn’t feel same. Even worse, you turn the handle and no water comes out at all. The absolute worst, you hear water running but haven’t turned any water on or you notice water stains or maybe even see water spraying out of a pipe. If you find any of these signs, Give us a call IMMEDIATELY! How to soften the blow and minimize damage: Well, you tried to prevent this but the temperatures are too low and a freeze happened anyways. There is no water coming out of the faucet. What do you do next? First step would be to call Kay Plumbing and explain your situation. We can offer advice for your specific problem and determine if we need to come on site. Then you should try to shut off your main source of water to prevent further damage. If you don’t know how to do this give as a call for an inspection and we can show you how to do this. Remember that pipes made of PVC, CPVC, and copper are all at risk. The only pipes that do not freeze as easily are called PEX pipes, which are made out of PolyEthylene. This type of pipe will freeze but it expands which helps to keep the pipe from bursting. If you know where the pipe is frozen you can wrap the pipe with a heat wrap or use a blow dryer to warm the area.